A change of scenery is good for mental health, but most of us spend our days staring at our computer screens. The only change of scenery available to us is through our desktop wallpaper. In Windows 7 and Vista, there are several ways to rotate wallpaper automatically, such as with an RSS feed, but this only rotates the wallpaper once a day or so. With Pulse, you can rotate wallpaper every few minutes by specifying a keyword and allowing the small program to run in the background. Pulse downloads as a RAR file, which means it must be extracted before using it. We used WinRAR to extract it, but there are other unzip programs that will handle it. Once unzipped, double-click the Pulse.exe file. At first glance, it will appear that nothing is happening, but Pulse is running. Expand the menu next to your clock and look for Pulse’s icon. 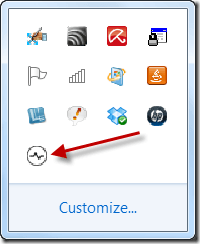 Right-click the icon and choose Options. 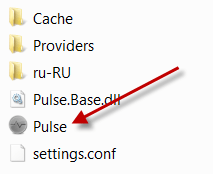 This menu allows complete configuration of Pulse. First, enter a keyword that Pulse should use to find wallpaper for your desktop. Next, choose a source for Pulse to use to find wallpapers. You can use either Wallbase or Rewalls, but since Rewalls is a Russian Web site, Pulse uses Google’s translator to translate your keyword. If your keyword does not translate well, you may receive weird wallpaper. Use the slider to determine how often Pulse should rotate your wallpaper. You can choose as little as one minute or as much as every hour and a half. A series of check boxes appear next. Check the first if you do not want low resolution pictures as wallpaper. Check the second if you only want to use max resolution wallpapers. 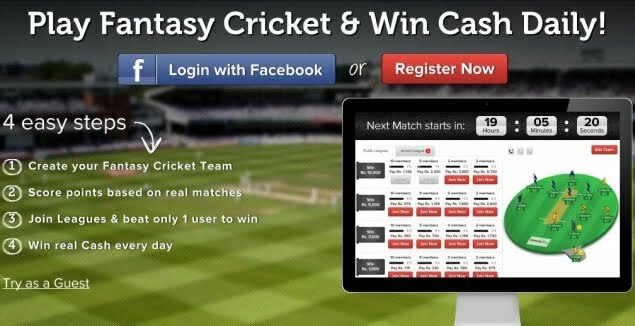 Check the final box if you would also like your wallpaper to appear as the logon screen. When Pulse downloads wallpaper, it is saved to your temporary file. Choose how often you would like these files deleted. Your wallpaper will not rotate at the interval you specified. However, once you restart your computer, you will also have to restart Pulse—it does not start when Windows starts. This is our biggest complaint about the program. While turned on, Pulse rotates the wallpaper seamlessly in the background without creating any sort of lag. The wallpapers it finds are crystal clear and beautifully rendered. We just wish it would integrate with Windows so we did not have to keep restarting it.